The newest Russian missile Zircon, which has already been tested, leaves no chance for any warship and cannot be destroyed by existing air defense systems. Sputnik explains why. According to numerous reports, the Zircon is actually a modified version of the BrahMos supersonic anti-ship cruise missile – a joint Russian-Indian design based on the P-800 Onyx missile. Therefore, the Zircon could have an effective range of about 400 kilometers. The Russian news network Zvezda quoted the Washington Times as saying that the development of the Zircon missile represents a quantum leap in the creation of an asymmetric weapon that can protect against a nuclear attack. "Against this background, the US missile defense system looks obsolete," the newspaper said. — SteLe (@AllThisEvil) 6 июля 2017 г. During an April 2017 trial, the 10-meter-long Zircon missile flew at eight times the speed of sound, which makes it absolutely impervious to the currently-existing missile defense systems of a potential enemy, according to Zvezda. Experts said that the X-51A Waverider hypersonic cruise missile currently being tested in the US pales in comparison with the Zircon. Sadly, the UK's new aircraft carrier can't stop Russia's new scramjet-powered Zircon missile. — The Indian Interest (@IndianInterest) 27 июня 2017 г. During an August 2014 test in Alaska, an X-43A was able to reach a top speed of 6,500 kilometers an hour (4,038 miles an hour) before burning up in the atmosphere seven minutes into the flight. Russia's Zircon 3M22 has seen no such mishaps since testing began in 2016, according to experts. — a. quant (@thequ4nt) 13 июня 2017 г. "That is why in the near future, Zirkon will become the Russian Navy's main trump card in any [possible] confrontation with the US carrier battle groups," Russian military expert Oleg Bozhov said in his article for Zvezda. It is important that the Zircon can be fired from the same launchers as the cruise missiles Kalibr and the anti-ship missile Oniks, according to him. He added that the Zircon missile system is expected to be added into Russia's arsenal between 2018 and 2020. 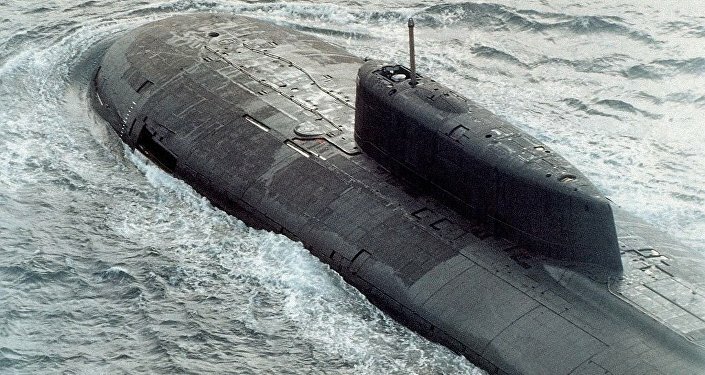 Bozhov also said that the Zircon missiles could be installed on heavy nuclear-powered missile battlecruisers Pyotr Veliky and Admiral Nakhimov and later on, fifth-generation multirole nuclear submarines. "With foreign developers in a hurry to take retaliatory measures, the next 12-15 years will see no new weaponry capable of counteracting the Zircon," he concluded.